Dipoto made multiple promotions in his baseball operations staff, most notably moving Justin Hollander to an assistant general manager role. 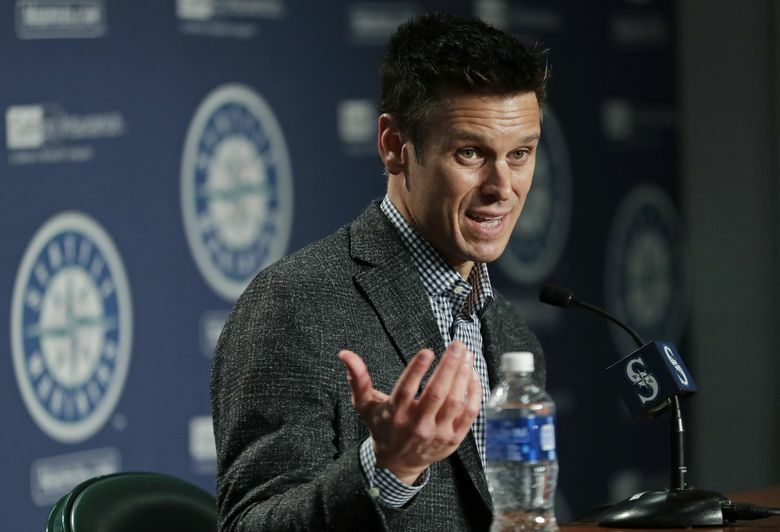 Besides making changes to his roster in preparation for the offseason and the 2019 season, general manager Jerry Dipoto has all made some adjustments to his baseball operations staff, including multiple promotions. Two of the biggest moves were elevating the status of Justin Hollander, who was promoted to assistant general manager, and Leslie Manning, who was promoted to director of professional development and assistant director of baseball development. Hollander, who came to the Mariners in September 2016, had served as director of baseball operations since being hired. He had spent the previous nine seasons working in the Angels organization, including working for Dipoto and with Mariners manager Scott Servais during his time in Anaheim. He’ll now work closely with Dipoto and assistant general manager/vice president Jeff Kingston on player procurement, contract negotiations of major league players, 40-man roster composition and statistical research. Manning has spent the past two years as the Mariners’ coordinator of professional development. Her new role will expand those duties while taking on the added responsibilities as the assistant director of player development. Manning, who is also fluent in Spanish, has spent the last decade working at various levels in baseball, including MLB, minor league and NCAA Division I levels. She worked previously as the director of baseball operations at Santa Clara University in 2016 and 2017, while founding NextStep Baseball — a curriculum based program for helping developing players not just on the field but off it. Emanuel Sifuentes has been promoted to player personnel manager from coordinator, video advanced scouting. Joel Firman has been promoted to manager in analytics from Analyst. Tim Stanton has been promoted to manager, baseball operations from coordinator, amateur scouting. David Hesslink has been promoted to coordinator, baseball operations from assistant, baseball Operations. Andrew Herrera has been promoted to coordinator of scouting from Assistant, Baseball Operations. Ty Bowman has been promoted to asst. coordinator of scouting from Midwest area scout. Frankie Piliere has been promoted to coordinator of advanced scouting from the Mariners Scout Development Program. Skylar Shibayama has been promoted to asst. advanced scout from analytics intern. Ben Aronow has been promoted to analyst from analytics intern. Forrest Diamond has been promoted to analyst from analytics intern.